As someone who runs an industrial plant, you have a lot of things on your plate, such as maintaining hundreds or even thousands of employees, making sure that you keep up with regulations, and more. Security cameras might not have really crossed your mind yet, but it is important to find the best camera for industrial process monitoring that you can. Even though you might think that you only need security cameras in areas that might be extra prone to theft, industrial process monitoring is actually very important. Luckily, doing so is relatively easy: All you need is security equipment. Employee safety is one of the most important things about your business . Along with safety training and classes, one of the best ways to keep your employees safe is to monitor them while they are working. When your employees spend eight hours or more a day doing the same job over and over, chances are they might find themselves trying to find shortcuts or doing things in a manner that they aren’t supposed to. Although it might not seem like a big deal to them when they have been doing the same things all day long, these are the types of things that can cause accidents in an industrial workplace. Since you don’t want this to happen, you should monitor the process to catch any shortcuts or employee errors that could compromise safety. If employees know that they are being watched on camera, there is a good chance that they will skip these shortcuts completely, which makes for a much safer workplace. Having footage from all of the shifts can also help you and the people who work for you catch any safety issues that might be going on. Although you might typically think that employee theft happens more in a retail type of environment, you would be surprised by the things that people will steal when they think that they can get away with it. When you have so many employees working in your industrial facility, you never know who might be stealing from your company. It can become very costly very quickly if you don’t do something about it. If you have cameras in place in your workplace, your employees will think twice before attempting to steal something from your business. Even if someone does attempt something, they won’t be able to get away with it as easily if you are monitoring everything. You never know when a lawsuit might pop up, and you don’t want to have to pay out large settlements in court. In many situations, however, you can be saved by legal troubles if you have your cameras turned on and if you can prove that you and your business did everything that you could in order to keep people safe and do things correctly. Time is money, especially in industry. You can’t afford to have paid employees messing around on paid time.. If the people who work in your industrial company know that you have installed security cameras on the production floor, however, you will see an immediate boost in productivity. Your employees won’t want to be caught slacking off, and they will stop doing so once they see that you are installing cameras and taking such matters seriously. The money that you can save from wasted employee wages alone can actually pay for your security system in some cases, especially if you have been having a serious issue with productivity in the workplace. Even if everyone who works for you doesn’t start to work a little harder, you will finally be able to monitor this footage to see who is doing their job and who isn’t. Also, you might discover new and improved ways for them to get things done, boosting your bottom line and making life easier for your employees all at once. What is the Best Camera for Industrial Process Monitoring? The truth is that it doesn’t necessarily matter what type of cameras you choose as long as they work well in your setting. You will obviously want tough cameras that can withstand industrial use, but you can always put protective covers over some of the more inexpensive cameras. One of the main things that you will want to make sure of, however, is that your cameras can actually capture some really good footage. Otherwise, you won’t be able to see everything you want when you watch your footage. Also, pay attention to things like the lighting; you will want to make sure that your camera works well with the type of lighting that you have in your workplace for the best results. For the best results, you will want to spend time choosing the right camera and buying it from the right supplier. 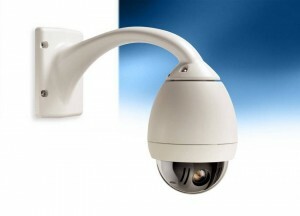 For industrial use, you will probably find it a far better idea to go with a security company that exclusively sells cameras and other similar products. Then, you can ask for tips and advice about which cameras are best for your needs, and you can even get professional help in installation. For a free consultation contact us.